Evil Genius Sports Performance: A Few Of My Favorite Things! (formerly known as Xtreme Radio) has begun. 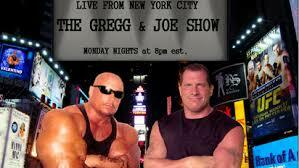 Co-hosted by Gregg Valentino and Joe Pietaro. This is a total entertainment show that includes interviews with celebrities, comedians, and professional athletes. An EvilGSP weekly "must listen"!